Ever feel like Jesus has been kidnapped by the Christian Right and discarded by the Secular Left? 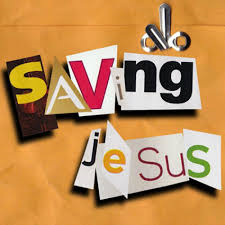 “Saving Jesus” is a total revision of Living the Question’s popular DVD-based small group exploration of a credible Jesus for the third millennium. Join Pastor Bills on Monday evenings at 7:00 p.m., beginning February 4, for this six-week progressive study. This is a continuation of what was offered last fall, but you may join anytime – and new people are encouraged to attend! Sign up on the Connection Card in Sunday’s bulletin, on our Facebook event page, or on the sign-up sheet in the Gathering Space.